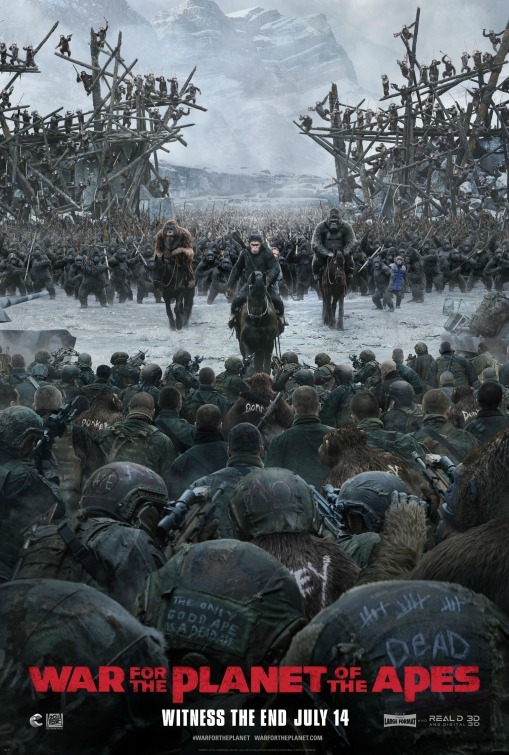 The battle begins this July for the planet as Cesar and his apes defend their civilization against a Colonel (Woody Harrelson) in War For The Planet Of The Apes. Andy Serkis reprises his motion capture brilliance as Cesar and Matt Reeves returns to direct this third film in the series. The film arrives in theaters July 14, 2017 and the poster tot he left is the latest for the film. Watch the trailer below and tell us what you think!